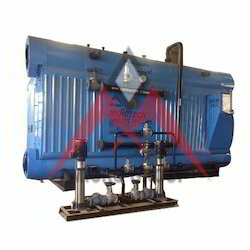 We are a leading Manufacturer of bi drum boilers from Ahmedabad, India. Our offered Bi Drum Boilers is low based with bi-drum water tube and is suitable for elevated steam requirements for cogeneration process. Since this is created with use of industry graded components and hi tech technology under the supervision of our engineers this offers long term use and great performance. This finds its applications in sugar mill, gas and oil industry, water treatment plants etc. In case of any specific requirements or modifications our team is readily available for assistance.